Every year new tech toys and smart devices fly off the shelves for Christmas. Many of those devices will end up in the hands (or within reach of) babies, children and tweens. Not everything available on the internet or in certain games or apps is appropriate for young eyes and minds. 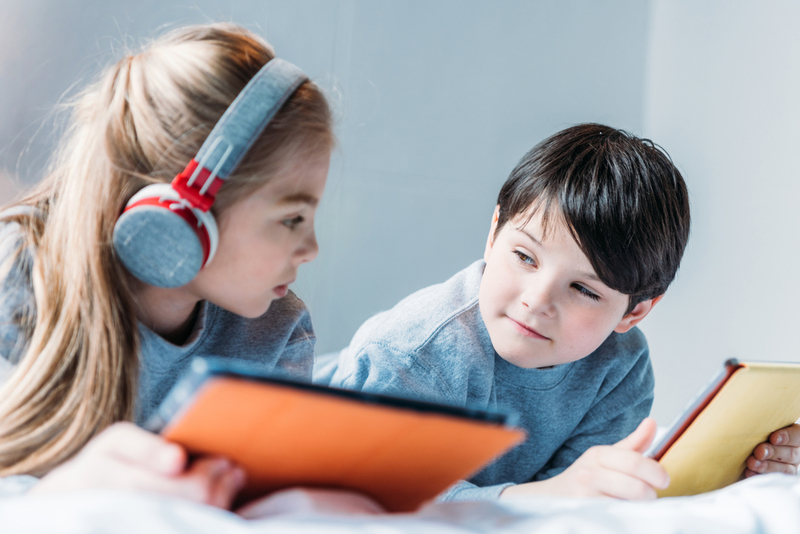 If your kids or grandkids are in proximity to smart devices, here are some tips for you to consider for using Parental Controls designed to keep them safe. BEWARE: If you forget your restrictions passcode, you must erase your device, then set it up as a new device to remove the passcode. Proceed with setting restrictions for the device itself and any apps that allow downloads, online play, or other web-based activity. Visit Apple’s site for more information on how to add, edit restrictions on your Apple product. For more information on how to restrict on your Android, click here. Depending on who your internet provider is, you can setup restrictions through your network provider. It’s usually simple to enable and worth the few steps. Here’s one example of how to enable Parental Controls from Xfinity. Access Parental Control Settings through the Xfinity xFI app or web portal from anywhere with an internet connection. You can also enter through the Wireless Gateway’s Admin Tool website using your computer or device that is currently connected to your home network. The Admin tool is accessible for all who have XFINITY Gateway Models. To edit or enable restrictions, login with your username and password. Once logged in, you can restrict certain websites, block sites completely, block key words, and specify devices that are trusted through tiered passwords. This way your child can only access the internet through a “child-proofed” password. When their device logs on to your network, it will request the password and permit access accordingly. Other providers have similar options. The specific steps may vary, but instructions can be found through your provider’s website or customer support area. Links to a few of the major area providers are below. In this case, it’s best to research before purchasing the game. Video games have a rating system similar to movies that provide general guidelines. If it’s rated “T” for Teens, it’s probably not ideal for your 7 year old. If its Adult/Mature rated, think twice before purchasing – even for a teen. Internet research will show screen shots of the game and can help determine if the thematic content, sexual content or violence are more than you feel are appropriate for your child. If you’re feeling like the risks online merit additional controls, there are apps designed specifically for supporting parental controls. Adding an additional layer may be the best option for you and your family. Qustodio is one popular parental control app. It’s FREE for general use and has premium plans available for purchase. Children are precious and they’re only young once. They can enjoy all the new toys and smart devices with more confidence when you make their online learning and play a safe experience. Help keep your family safe online by being involved in children’s online activity and putting parental controls in place to help keep them safe from cyber threats and inappropriate content.